There are 2 Memory Care Facilities in the Mahomet area, with 1 in Mahomet and 1 nearby. The average cost of memory care in Mahomet is $4,500 per month. This is lower than the national median of $4,650. Cheaper nearby regions include Champaign with an average starting cost of $4,249. To help you with your search, browse the 1 review below for memory care facilities in Mahomet. Better rated regions include Champaign with an average rating of 5.0 out of 5 stars. Caring.com has helped thousands of families find high-quality senior care. To speak with one of our Family Advisors about memory care options and costs in Mahomet, call (855) 863-8283. The township of Mahomet, located in Champaign County, Illinois, is home to 8,500 people, and 11 percent of them are 65 years or older. It's estimated that 11 percent of Champaign County seniors receiving Medicaid have Alzheimer's disease or another form of dementia. Mahomet seniors looking for a local memory care facility have one within the township and three in nearby Champaign or Savoy. The Illinois Department of Public Health regulates memory care facilities, including the one in Mahomet. These facilities can be located in their own building or in an assisted living facility. Mahomet's cost of living score is 96 compared to the state average of 102 and a national average of 100. This is driven by the village's lower transportation and grocery costs, which help the families of seniors in memory care put aside more money for healthcare costs and incidentals. The village receives 40 inches of rain, somewhat lower than the national average of 39. However, the city receives 20 inches of snow, 6 inches less than the national average. Families visiting residents in Mahomet's memory care facility have an average of 195 sunny days a year to plan for pleasant travel conditions. The air quality in Mahomet Township is 81, higher than the national average by 23 points, according to the EPA's National Air Toxics Assessment. This model predicts the risk of respiratory illness and cancer due to air pollutants. Mahomet's high score is good news for seniors with respiratory issues, such as COPD. Illinois seniors in Mahomet and the rest of the state pay no income taxes on social security, pension income or retirement savings accounts. This may provide a bit more money to put towards memory care costs. Memory Care costs in Mahomet start around $4,500 per month on average, while the nationwide average cost of memory care is $4,799 per month. It’s important to note that memory care rates in Mahomet and the surrounding suburbs can vary widely based on factors such as location, the level of care needed, apartment size and the types of amenities offered at each community. To see a list of free memory care resources in Mahomet, please visit our Assisted Living in Illinois page. 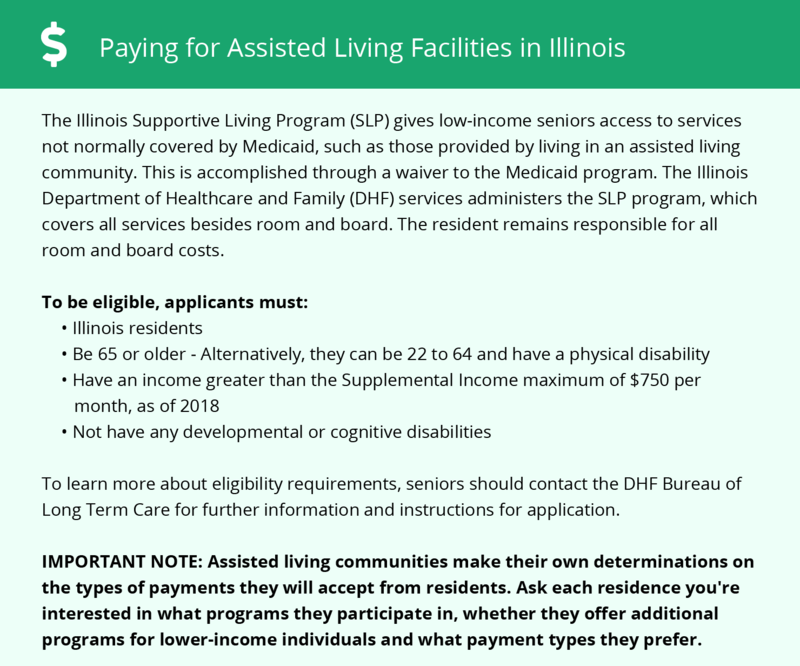 Mahomet-area assisted living communities must adhere to the comprehensive set of state laws and regulations that all assisted living communities in Illinois are required to follow. Visit our Memory Care in Illinois page for more information about these laws.